We offer all services for cats, dogs, and exotics. Included are annual vaccinations, wellness exams, dental care, outpatient care, soft tissue and orthopedic surgery, all laboratory exams, etc... We benefit because we are located close to several referral hospitals to greatly increase the level of care given in our area. Also, we are currently the only veterinary hospital in Seminole County to offer Laser surgery for our patients. A new painless, bloodless option for our surgical patients. Laser declawing is standard for cats now. Call us if you have any questions! 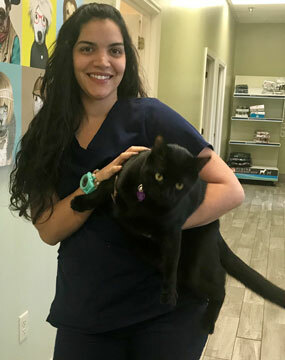 You're always welcome at Delaporte Veterinary Hospital; we hope that you will join us sometime. Beau Delaporte, DVM - Dr. Beau became interested in veterinary medicine while working for his father at his veterinary hospital growing up. After high school, he attended Auburn University for undergraduate and post-graduate study. He graduated in 1994 with Bachelors in Animal Sciences and in 1998 from veterinary school. He then purchased Mount Dora Veterinary Hospital from his father in 1999 and has run it ever since. 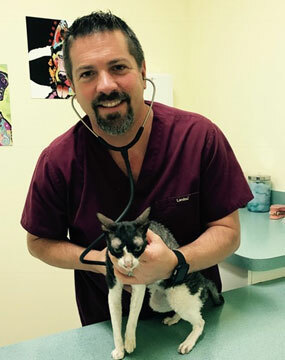 He purchased the DVH Veterinary Hospital in Sanford in Feb, 2017 from the previous veterinarian who ran it under the name Wekiva Forest Animal Hospital for the past 17 years. Dr. Beau and his family have dedicated their lives to animals and hopes to one day pass the practice to one of his six beautiful children. His furry family includes a Mastiff lab rescue named Dakota, a Golden Retriever named Finn and two cats named Mon Cheri and Twilight. Dr.Beau may be our boss and the doctor but he is also our friend and a huge reason why most of us stick it out when times get tough. A father, a husband, veterinarian/owner to many, and a friend to the rest. We love his company every single day! 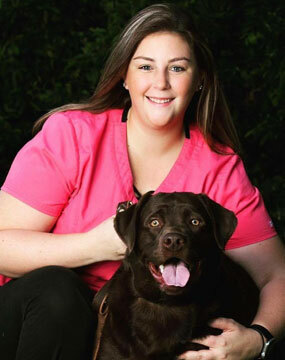 Kyla Garrels, DVM - Dr. Kyla Garrels is a graduate of Oklahoma State University College of Veterinary Health Sciences. She has lived in Apopka and worked in the Orlando area since 2008. 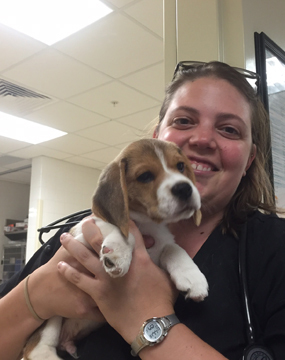 Dr. Garrels loves her dog and cat patients, but also has special interests in exotic pets. In her personal time, Dr Garrels is kept busy with her husband, 2 young daughters, 3 greyhounds, a Quaker parrot, and a very large tortoise. 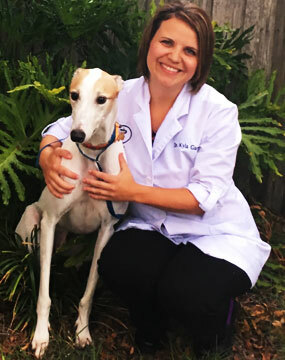 Melissa Carter, DVM - Dr. Melissa Carter is a graduate of the University of Florida College of Veterinary Medicine where she focused her studies on small animal medicine and veterinary forensics. 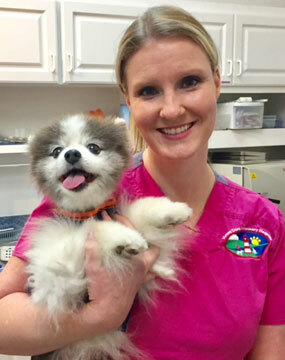 She is a Florida native and has worked within the veterinary field from a very young age. Her special interests include rehab/integrative medicine, dentistry, and hospice/palliative care. Outside of work, Dr. Carter enjoys being outdoors, playing guitar, and spending time with her two dogs, Finn & Terra, and two cats, Cali & Dani. Kayla Alvarez - Office Manager/ Receptionist - Kayla has come to us from the nursing field where she took care of elderly adults and helped with special needs children for the last ten years. She was born in Pottsville, PA but moved to Orlando in 2006. Kayla is an animal lover and has two Shiba Inus, one cat, and two goldfish. Kayla is married to her wonderful husband, Mark. Together they have two beautiful daughters, Avah and Brianna. Kayla loves to travel and craft in her free time. Jadira Soto - Surgery Technician/Veterinary Technician - Jadira has been a veterinary technician since she graduated in 2010. She worked 4 years in a specialty clinic and then moved to research. After moving to Florida from Puerto Rico, she decided to return to her roots and join the small animal practice again. That’s when we were lucky enough to add her to our team! Jadira is a mother of two beautiful children and a wife to her wonderful husband Wilfredo. Holly Meyer - Surgery Technician/Veterinary Technician - 1. Holly has been a part of our team since 2012. She came to us after working for a local vet for 13 years! Holly assists our Doctors with any surgeries along with helping in the exam room, running our in-house lab, taking radiographs, and helping anywhere she is needed. Holly has a bubbly and sweet personality. Between her and her husband, John, they have four beautiful children, 3 dogs, 2 cats, and a snake. Chelsea Brockenbrough - Veterinary Technician/Kennel Technician - Chelsea is a lover of all animals so the veterinary field was an obvious choice for her when she began 2 years ago. Chelsea grew up with a full farm of animals (dogs, cats, rabbits, hamsters, ducks, goats, and horses. OH MY!) She has experience working with large and small animals. 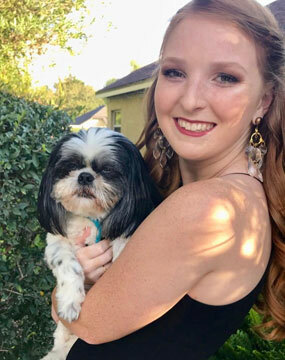 Chelsea was born and raised in Apopka, FL and currently has 3 dogs, Bomber, Belle, and Boeing, they are currently her only “babies” and that is how they are treated! 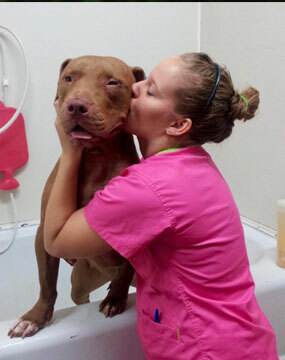 Kelsey Donbrosky - Receptionist/Kennel Technician - Kelsey came to us with four years of veterinary assistant experience. She has 6 dogs, 4 cats, one goat named Esther, and a horse named Rio. When Kelsey isn’t working she can be found riding Rio or at one of the local horse shows! 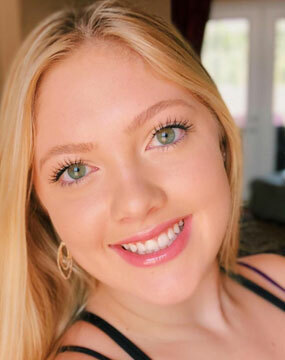 Delaney Delaporte - Receptionist - Delaney is Dr. Beau's first born of six! Delaney juggles working two jobs while still attending school. Delaney has 2 dogs and 3 cats. In her free time she loves to play volleyball, go tubing/ boating on the lake, and volunteering in the various clubs/groups she is a part of! 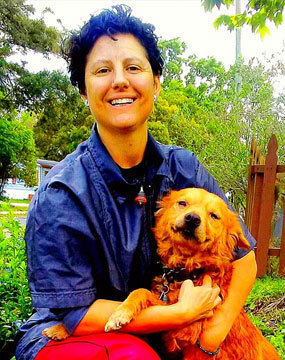 Ellen Grimsley - Kennel Technician - Ellen is our weekend and holiday kennel tech. Ellen is also attending school and is part of the National Honors Society. Ellen describes herself as a fun red-head who likes to play volleyball and bike ride in her free time! Ginny - Groomer - Ginny has been grooming for the last 11 years, both on her own and with us on Fridays. She lives with her husband, 3 children, 1 dog and 6 cats. Ginny also enjoys fostering animals until they can find their forever home. In her spare time, she can be found at the gym or curled up with a good book.